Cryptocurrencies have grown explosively in popularity during the past year, but it can still seem complicated to begin trading. There is a veritable plethora of readily available cryptocurrency exchanges – so which ones are the ones for you? 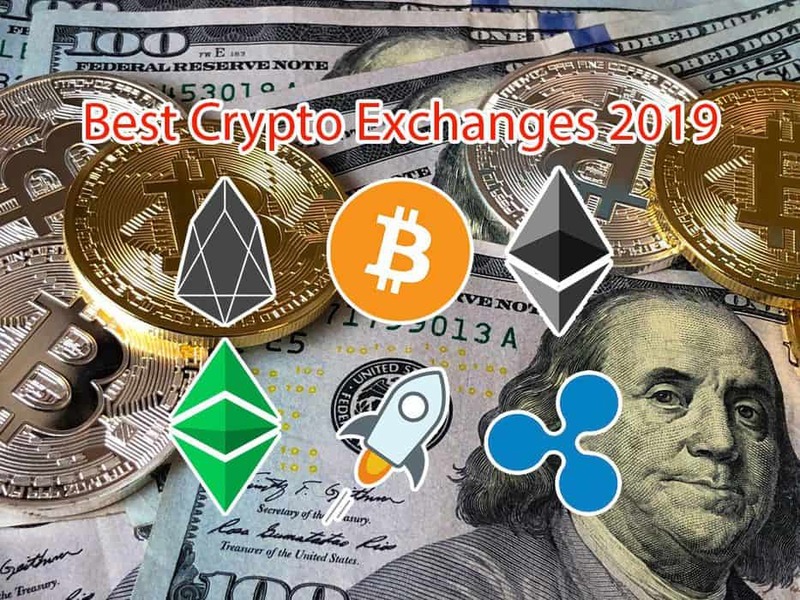 The following guide lists some of the best cryptocurrency exchanges, as well as some specifics to each exchange. A cryptocurrency exchange is, put simply, an exchange for buying, selling and exchanging cryptocurrencies. This means that users can either buy cryptocurrencies using traditional currencies – so-called ”fiat currencies” – or other digital currencies. 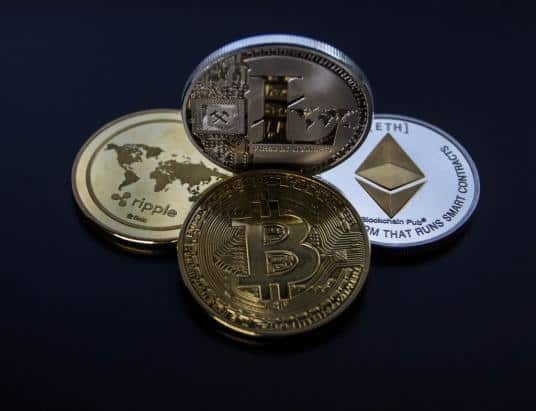 Different cryptocurrency exchanges can offer different types of cryptocurrencies, can have different terms, policies, payment methods, and fees. Moreover, some cryptocurrency exchanges may have geographical restrictions. In addition to this, certain exchanges simply offer an experience that will be more to some people’s liking. Security, user-friendliness, functionality, and design are all factors that can play a significant part in which exchange suits you best. Generally, cryptocurrency exchanges can be sorted into the following types. A fiat exchange is a trading platform which allows users to purchase cryptocurrencies using traditional, government-issued currencies – e.g., US dollars, euros or pounds sterling. This sort of exchange facilitates trading between parties solely through the use of cryptocurrencies. For example, those looking to exchange their Bitcoin holdings for Ethereum can do so through using a C2C exchange. Moreover, users can choose between many different methods to buy or sell cryptocurrencies. For example, the cryptocurrency exchange offers users the option to pay either through PayPal, credit card, bank wire or bank transfer. Exactly how purchases are made differ somewhat depending on where you live. US customers who buy with a debit card or through a USD wallet will have these purchases available immediately. 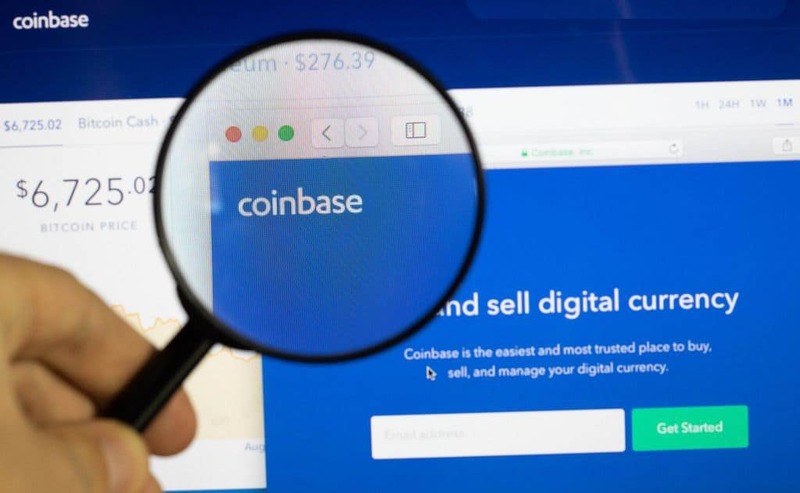 For bank transfers for US customers, Coinbase utilizes so-called Automated Clearing House transfers – ACH transfers for short – which is the main way to send funds with bank accounts. The ACH bank transfer usually takes around three to five business days to be processed. Customers from the EU can have their domestic currency stored within a Coinbase Fiat Wallet account. This means that any purchases made with this – or with a debit card can take place instantly. Deposits to European customers wallets using so-called SEPA transfers usually take two to three business days. This is also true for customers from the United Kingdom. However, deposits to a GBP Wallet with the use of GBP bank transfers are typically completed within a single day. Canadian and Australian customers can also make instant purchases with the use of debit cards. Coinbase is an excellent choice for those who getting are into cryptocurrencies for the first time. The design of the service is capable yet easy to understand, and user verification is done within two business days. The platform also offers relatively low fees and is for example available in the US, EU, Canada, and Australia. BitMEX is a somewhat special cryptocurrency platform. The exchange was founded by HDR Global Trading Limited, and operates out of Hong Kong. Moreover, BitMEX is one of the largest Bitcoin trading platforms in the world. For example, the site has processed around $35 billion worth of Bitcoin since it began operations. The site also only accepts Bitcoin deposits, which can later be employed to purchase other cryptocurrencies. However, what really sets BitMEX apart from the competition is the site’s unique features. 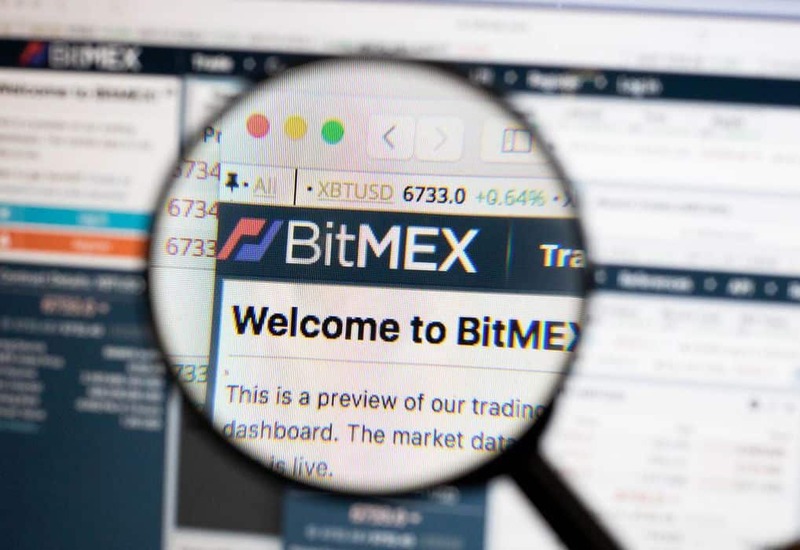 BitMEX features margin trading, which means that users can trade crypto with leverage on the platform. BitMEX also allows users to turn bear markets into a lucrative investment opportunity through short trading. Although short trading is, as always, a potentially dangerous undertaking, it allows users to benefit from crypto price falls. Users looking to create an account on BitMEX will first be required to register on the website. This only requires an email address, and that the person registering is at least 18 years old. Nevertheless, BitMEX does not accept any US-based traders. 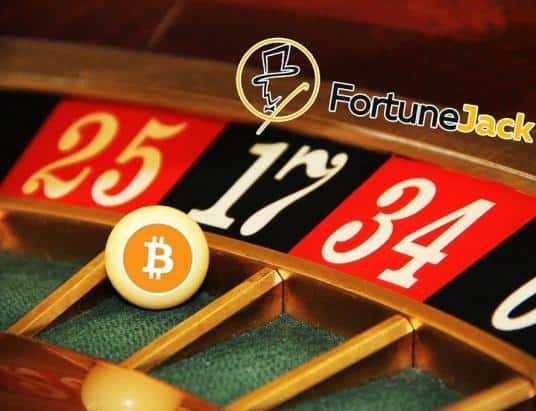 Furthermore, the site allows users to trade cryptocurrencies against the US dollar, the Chinese yuan, and the Japanese yen. The cryptocurrencies supported are Bitcoin, Bitcoin Cash, Ethereum, Ripple, Dash, Ethereum Classic, Monero, Litecoin, Zcash and Tezos. Although the platform is quite intuitive, it is not necessarily for cryptocurrency beginners. With this in mind, however, the site provides an excellent opportunity for those looking to try their hand at cryptocurrency margin trading. CoinMama is a Bitcoin brokerage based out of Israel. CoinMama works in a wide variety of different countries. Although it is not supported in all of the US, it is nonetheless approved in most US states. CoinMama’s easy-of-use is also significant, as practically all first-time buyers will be able to navigate on the website. Moreover, the exchange comes with one of the world’s highest limits for buying Bitcoin with a credit card. Specifically, the site allows for purchases of $5,000 worth of Bitcoin each day, and up to $30,000 worth each month. In addition to this, CoinMama is a generally trusted and reliable platform. Initial verification on the site takes around 10 minutes. Following this, all purchases will see instantly delivered Bitcoins. Wire transfer takes between two and five business days. 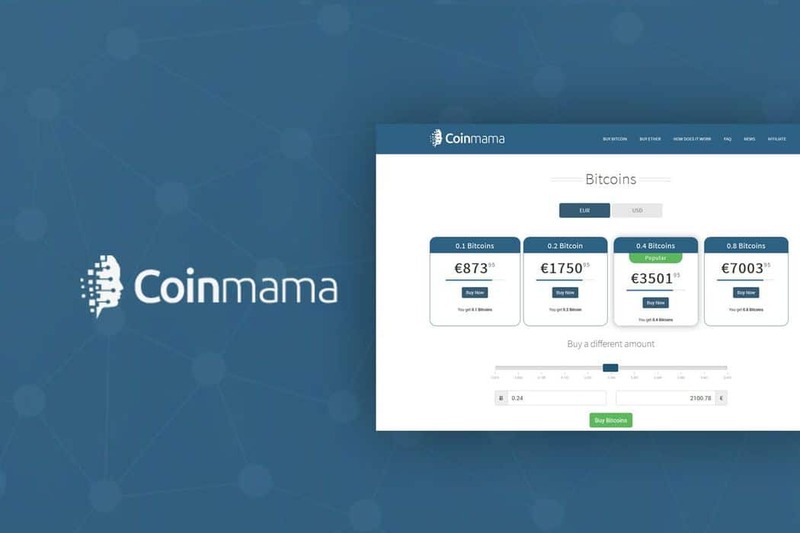 Generally, CoinMama charges an approximate fee of 6% on all Bitcoin purchases made through the site. However, European customers can benefit from lower fees when they make SEPA transfers. Nevertheless, the fees are one of CoinMama’s most significant drawbacks. Exorbitant fees for purchases using credit cards are something users should particularly watch out for. Furthermore, this platform is not particularly suitable for those looking to purchase other cryptocurrencies than Bitcoin. Binance is one the world’s most popular cryptocurrency exchanges, despite being a relatively new player. This platform was originally based in China, but it moved its operations to Malta earlier this year. Binance is a cryptocurrency-to-cryptocurrency trading platform, meaning it does not feature support for fiat. 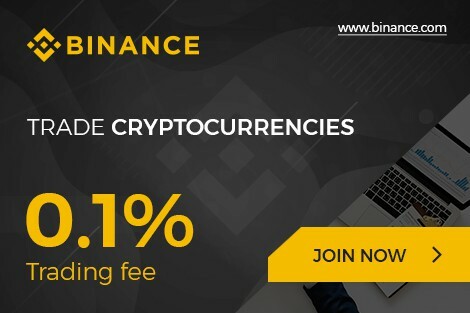 Binance gives users the choice between cryptocurrency trading with either basic or advanced trading. Nevertheless, it should be noted that neither of these two options actually present the user with an easy-to-use system. This makes Binance somewhat unsuitable for those who are completely new to cryptocurrency trading. However, the advanced option gives users more insight and technical analyses of the different digital currencies over time. Those looking to use Binance will first of all have to set up an account. Users who are satisfied with having a Level 1 account – which is limited to a daily withdrawal limit of 2 Bitcoin – do not have to verify their accounts. Those, on the other hand, looking to have a Level 2 account – capable of daily withdrawals of up to 100 Bitcoin – will need to submit photographic identification and wait for approval. How long the verification process takes depends on how busy site support staff is, so is somewhat dependent on traffic. The user applying will receive an email once the verification process is complete. 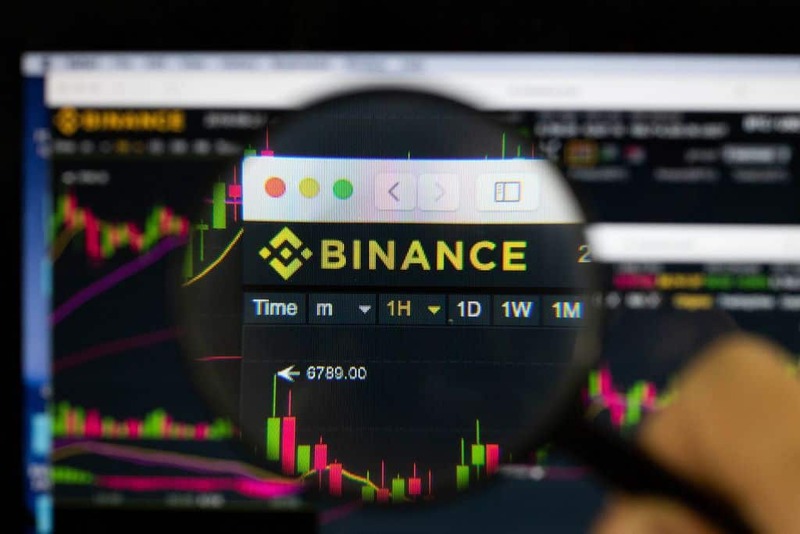 In addition to the two previously mentioned levels, there are even higher levels available for those who reach out directly to Binance. Coinsquare is the largest cryptocurrency exchange based in Toronto, Canada. The cryptocurrency venture has over 100,000 active user accounts on the exchange, and has over 90 employees. 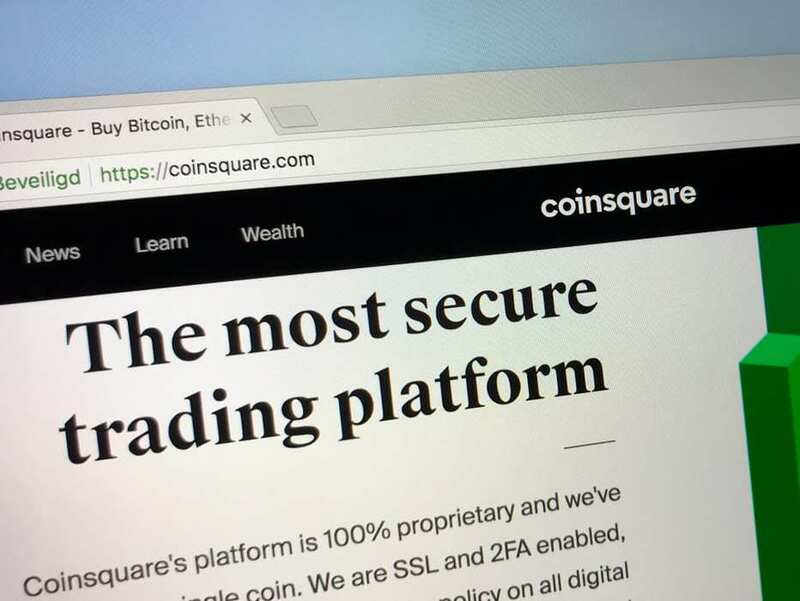 Although Coinsquare started off as a Bitcoin exchange, the platform has since diversified and allowed other cryptocurrencies to be traded. Currently, Coinsquare allows users to purchase Bitcoin, Ethereum, Litecoin, Bitcoin Cash (both Bitcoin ABC and Bitcoin SV), Dogecoin, Dash and Ripple. Coinsquare is generally considered to be a so-called ”fiat gateway” where users mostly purchase a small set of cryptocurrencies using fiat currencies. Nevertheless, users are free to purchase cryptocurrency using Coinsquare before moving their assets to another exchange – if they want the option to purchase smaller altcoins. Coinsquare aims for a turnaround time of around one business day for verifying accounts on the platform. Furthermore, e-transfers are done manually and take approximately one to three business days to complete, and has a fee of 2.5%. This is dependent on the current backlog of requests faced by Coinsquare. It can, therefore, take up to three to six days for funds to appear in users’ accounts. Coinsquare’s fees depend on whether users buy through making a ”BitMaker” trade or a ”Quick Trade”. Those making BitMaker trade pay 0.1% in fees if they are adding liquidity to the market (maker), and 0.2% in fees if they place an order that takes away liquidity (taker). If a user swaps Bitcoin for another coin, they will pay 0.2% in fees. However, if a user trades one altcoin for another altcoin, they will be charged 0.4% in fees. LocalBitcoins is a popular peer-to-peer Bitcoin exchange from Finland. In essence, this escrow service works through matching Bitcoin sellers with Bitcoin buyers. Users on the platform can create open advertisements, as well as message with potential clients. LocalBitcoins is exceptionally easy to use and is, therefore, often a gateway of sorts for those beginning to trade Bitcoin. Moreover, the service has a solid reputation, and is accessible in a vast number of countries. 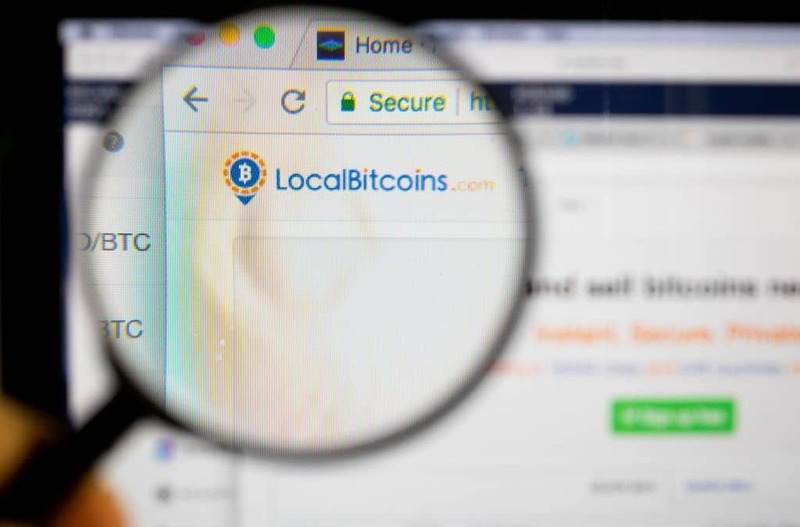 After creating an account, LocalBitcoins allows users to search for Bitcoin vendors in their country or area. Furthermore, this search can be refined with criteria such as payment methods, seller location or ID requirement. As a result, LocalBitcoins provides an exceptionally fast and easy way to buy Bitcoin that can also be secure. If the two parties decide to meet in person, the in-person won’t require any personal information. Bitcoin transactions on LocalBitcoins are completed within 10 to 60 minutes. Moreover, verifying one’s account does not take much time – generally between a few minutes to one day. Nevertheless, it is worth stressing that LocalBitcoins has been plagued by some scams, so users should be vigilant. Moreover, it is somewhat hard to buy large amounts of Bitcoin when compared to large exchanges. Finally, the prices are somewhat higher than those at regular exchanges. Margin trading Yes, but only for Huobi pro users. Last and not least, the Singapore-based cryptocurrency exchange Huobi is a long-time favorite in the Asian markets. In addition to its main Singapore office, Huobi has offices in Hong Kong, Japan, and South Korea, as well as a single US office. Nevertheless, Huobi has faced some difficulties related to US regulations. 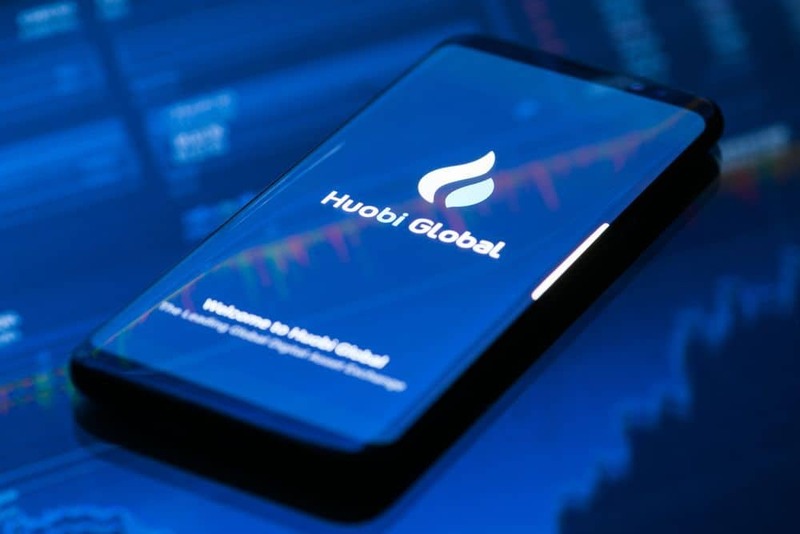 Nevertheless, Huobi operates in more than 130 different countries, including China, Hong Kong, Taiwan, Korea, Japan, Germany, the United Kingdom and Canada. Those registering with Huobi are requested to supply their nationality, as well as an email address or telephone number. Once the user has verified the entered email address, the person will be able to purchase cryptocurrency Huobi’s OTC service using either Chinese yuan, Singapore dollars or US dollars. Otherwise, users can also transfer some cryptocurrencies they already own to the exchange. Huobi also offers over 40 USDT pairings, around 100 BTC and ETH pairings on its site. The platform also offers a fairly comprehensive overview of the cryptocurrency market. However, this can prove fairly daunting to those who are new to cryptocurrencies. All maker and taker fees on Huobi are set to around 0.2%. Moreover, verification on the site usually only takes a few minutes. The main drawback of Huobis site is, however, that it lacks somewhat in ease-of-use. 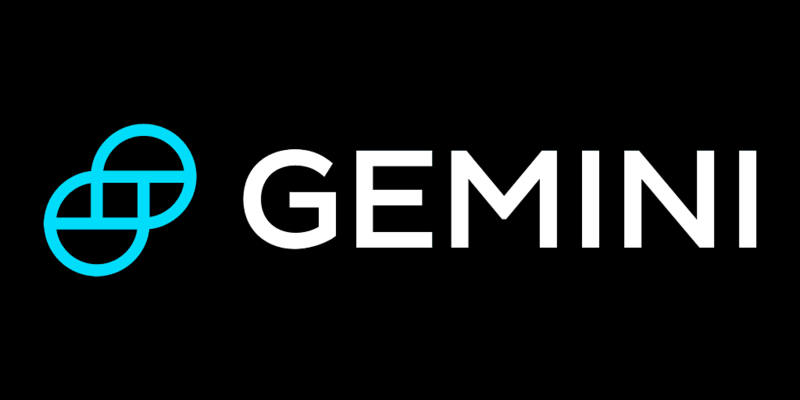 The New York-based cryptocurrency exchange Gemini is perhaps best known for being owned by the Winklevoss twins – of Facebook fame. Gemini has differentiated itself from other cryptocurrency exchanges by championing a regulated approach. More specifically, the exchange features support for Bitcoin, Ether, and the US dollar. The platform is fully available in the US, Canada, Hong Kong, Singapore, South Korea and the UK. Deposits to the platform can either be completed through a traditional wire transfer, or an ACH or SEPA transfer. Furthermore, the platform usually processes wire transfers sent before 3:00 pm Eastern Time during the same or following business day. However, this estimate can vary somewhat depending on the user’s bank. Bank deposits on the other hand are processed immediately. Moreover, these are fully cleared by Gemini and made available for withdrawal within approximately four to five business days. Gemini’s greatest strengths are the exchange’s regulated nature, lending it substantially trustworthiness. In addition to this, it also features some of the lowest fees in the US. This being said, the exchange is not available in all countries, and can be confusing too cryptocurrency beginners. 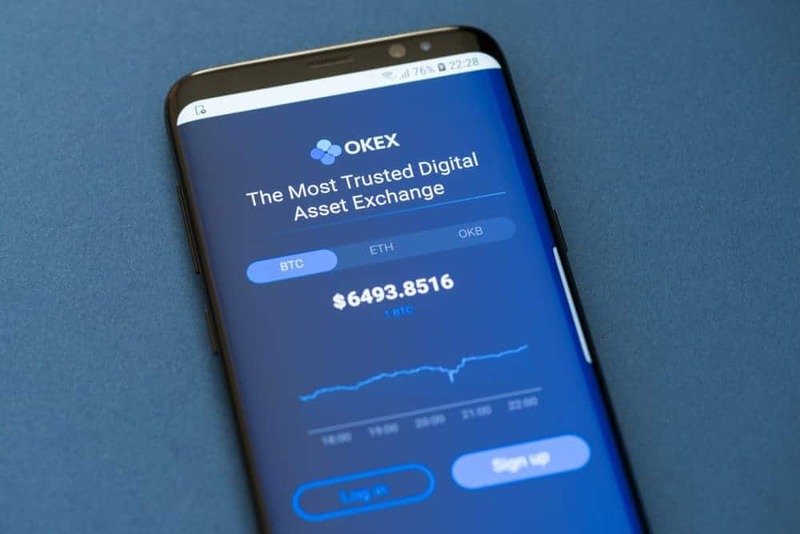 OKEx is a cryptocurrency exchange which offers multiple trading instruments. Nevertheless, OKEx leans heavily towards more professional cryptocurrency investors. This makes OKEx a less than ideal choice for this who are just getting into cryptocurrencies. OKEx is the second-largest cryptocurrency exchange in the world – in terms of volume – and has recently relocated to Malta. OKEx is available in most countries that do not restrict their citizens from trading platforms, or countries that are on the UN’s Security Council Sanctions List. The process to create an account on OKEx is relatively simple. The platform also offers several different verification levels, with different requirements and feature. Users who are satisfied with Level 1 verification will have to supply their country of origin, username, and ID number. Level 1 verification will allow them to trade with a daily transaction limit of $2,000. Those looking to trade for more than that will need a Level 2 verification. This includes a photo of the user, and his or her identification. This will, in turn, earn the user a transaction limit of $200,000. A third level also exists, which requires a video verification of the user’s identity, and gives the user a $500,000 transaction limit. Margin trading Only for customers outside of the US. Poloniex is a Delaware-based cryptocurrency exchange that has been around since 2014. 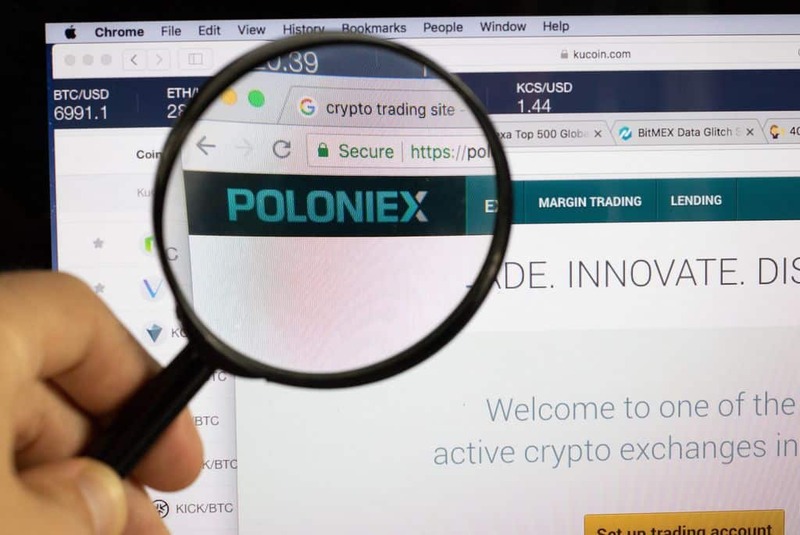 Moreover, Poloniex recently made some waves when the exchange was acquired by the Goldman Sachs-backed cryptocurrency startup Circle. In addition to this, Poloniex is generally geared towards somewhat experienced cryptocurrency traders. The layout and user interface of the cryptocurrency exchange make it clear that this is not a cryptocurrency beginner-friendly platform. This is also evident through the fact that Poloniex only supports cryptocurrency-to-cryptocurrency trading. As a result, it is impossible to deposit fiat currencies on the platform, or purchase cryptocurrencies using fiat. Nevertheless, only allowing cryptocurrency-to-cryptocurrency trading also means that Poloniex is legal in a vast number of different countries. The exchange has also got a large number of different trading pairs – a whopping 97 of them. Poloniex has faced some verification issues in the past, but it should be noted that these have been inconsistent. This suggests that the verification issues faced by some might depend on the traffic load on Poloniex at that time. It should, nonetheless, also be mentioned that Poloniex has been accused of poor customer service. In addition to this, the site has also struggled with declining community trust. 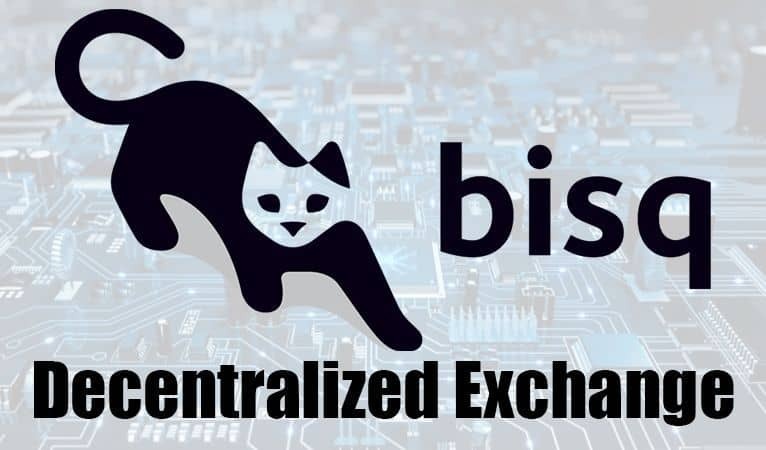 Bitstamp is one of the most well-known cryptocurrency exchanges in all of the world. This exchange has been in operation since 2011 – an eternity within the cryptocurrency world – and is originally from Slovenia. Today, however, the cryptocurrency exchange has multiple headquarters, such as in both Luxembourg and New York. 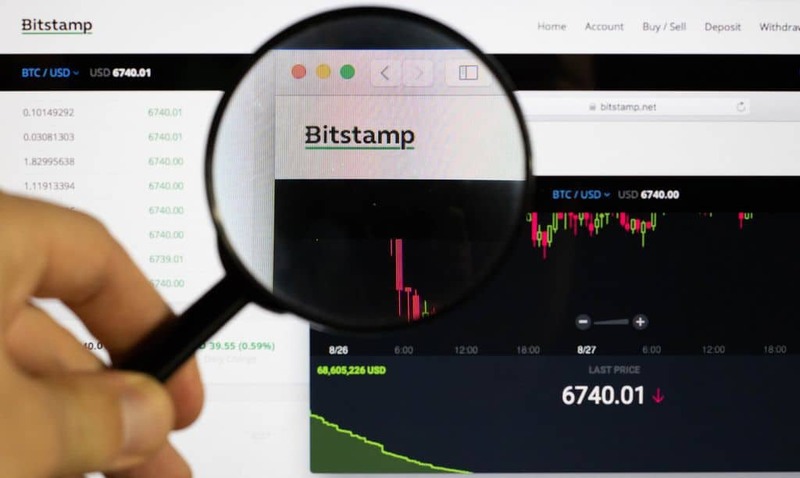 Moreover, the Bitstamp exchange is fairly easy to use for cryptocurrency enthusiasts and beginners alike. The platform has a straight-forward design, continuously updated price charts, and has a mobile app for both iOS and Android. Verification on Bitstamp is also fairly rapid. It generally takes one day to become verified on the site – however these times have varied in the past. In fact, due to ”extreme demand”, some people were not verified for an entire month. Credit card transfers to the site are instant. Bank transfers typically take two to five business days, whilst a SEPA transfer takes one to three. In addition to this, Bitstamp has one of the lowest fee systems of all cryptocurrency exchanges. The platform has a 0.05% fee for international wire transfers, and imposes a 0.09% fee on international withdrawals. 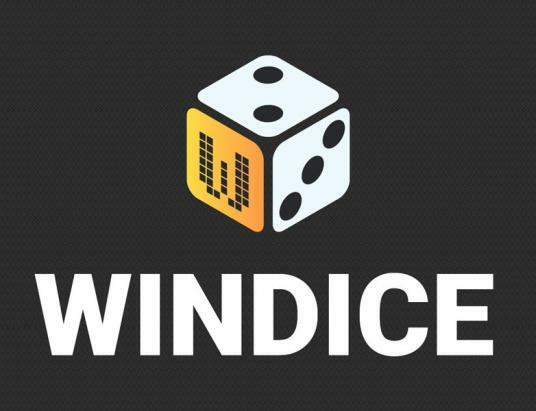 The minimum deposit is $7.50 or €7.50, whilst the minimum withdrawal is $50 or €50. Furthermore, monthly trading volumes of less than $20,000 are subject to a 0.25% trading fee. However, for trading volumes above that, all the way up to $20 million a month, the fees fall as low as 0.1%. Bitsquare is a cryptocurrency exchange that differs somewhat from many others, in the way that it is decentralized. This means that users can trade cryptocurrencies and fiat currencies through an open-source P2P system that cannot be hacked. Moreover, this also entails that the cryptocurrency exchange does not handle funds itself. Anyone can download the Bitsquare application, and users do not have to provide Bitsquare with sensitive information in order to create an account. For example, there is no need to submit identification, a copy of your passport, or even your legal name to begin trading on Bitsquare. Bitsquare’s user-interface can seem somewhat convoluted to those who are new to trading cryptocurrencies. Furthermore, the notion of decentralized cryptocurrency trading can similarly seem foreign. However, it is worth pointing out that those who have truly embraced the decentralized dream will hardly find a better alternative on the market. When a user wants to conduct a trade on Bitsquare, he or she is connected to a respective seller. They are then both required to make a security deposit of 0.1 Bitcoin, as a form of holding fee. Trading fees are always fixed at 0.001 BTC, and the maximum trading volume is 1 Bitcoin. Furthermore, the platform features a myriad of altcoins in addition to Bitcoin. As it does not require a traditional form of verification, users need only download the application. Bitcoin transactions take around 10 minutes on average. Different countries have different time spans before a trade, if no confirmation has been received, is discarded and goes to arbitration. Kraken is one of the oldest cryptocurrency exchanges that are still around. Moreover, it is also the largest euro-denominated cryptocurrency platform in the world, according to the exchange’s daily trading volume. In addition to this, the exchange has support for deposits from a wide variety of different countries. Specifically, customers from Europe, Canada, Great Britain, Japan, and the United States can all trade crypto using Kraken. Deposits to Kraken are done either through bank wire transfer, SWIFT payments, SEPA, or through bank deposits (only for Japanese customers). The exchange is also widely trusted, has solid finances, and is highly rated for security. In addition to this, the platform also has a low taker fee of 0.25%. Moreover, this can fall as low as 0.1% with high trading volume. The maker volume is also low, and can reach 0% is the trading volume is high. It can take up to 60 minutes to be verified on Kraken. Moreover, SEPA transfers, EUR international wire transfers, and USD US domestic wire transfers all take between one and five business days to be completed. CAD Canadian domestic wire transfers can take between one and seven business days. Nevertheless, there are some drawbacks to Kraken. The cryptocurrency exchange has a somewhat convoluted user-interface. This means that it may not be suitable for first-time buyers of cryptocurrency. It also requires users to show their ID in order to verify their account. The Swiss cryptocurrency exchange ShapeShift has been operational since 2015, and is one of the world’s most popular instant exchanges. However, ShapeShift does not feature any support for fiat currencies. Rather, ShapeShift aims to allow those investing in cryptocurrencies to trade between different types of altcoins. This means that the platform can be somewhat hard to navigate and understand for those who are new to cryptocurrencies. Nevertheless, being an ”instant” exchange also means that user can, for example, exchange their Bitcoin for Litecoin extremely quickly. Nevertheless, trades can also drag on in some instances. Moreover, fees can be very low if users time their trades correctly. This is due to the fact that fees vary on the Swiss exchange. Verification on the platform is also nearly instantaneous. Furthermore, an exchange can take between a mere 30 seconds up to multiple hours. Users are encouraged to contact ShapeShift’s support team if an exchange has not been completed after 48 hours. It should be noted, however, that some users have complained online that they have faced difficulties with ShapeShift. There are stories of funds that have gone missing, and the site has some lack of transparency around its deposit times. It is also worth stating once again that the site does not feature support for fiat currency purchases. This information will hopefully allow you to navigate the somewhat murky waters of choosing a cryptocurrency exchange. Although some exchanges might appear daunting at first, they are all reminiscent of each other. This means that it will be easier for you to trade on any cryptocurrency exchange once you get started. However, it is worth noting that cryptocurrency trading should be undertaken with the same caution as any sort of investment. Remember that positive returns are not guaranteed, and never invest more than you can afford to lose. 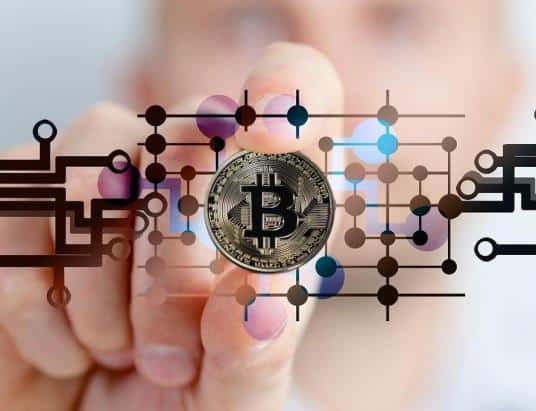 This being said, however, this guide outlines different characteristics that are sure to help you find a cryptocurrency exchange to your liking. Whether you are looking for a cryptocurrency trading platform that prioritizes low fees, modern design, or extensive features, this list is your go-to source for any such information. Moreover, do not hesitate to reach out to us at Toshi Times if you know an exchange that you think should be covered. The cryptocurrency exchange world is constantly in flux, and we strive to keep our guides as up to date and relevant as possible. Good luck finding the best cryptocurrency exchange for you! Ivan is a blockchain educator, software developer, data scientist, and business developer. 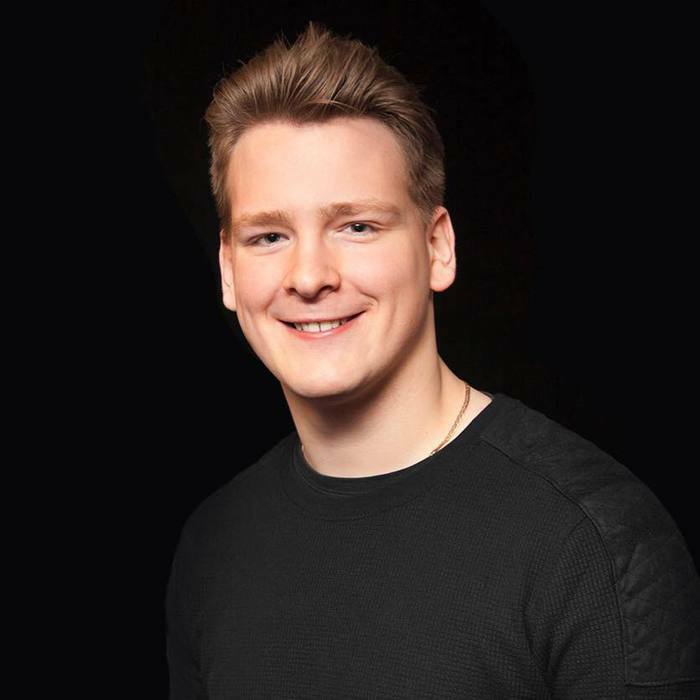 His Youtube channel “Ivan on Tech” is a truly global phenomenon spreading knowledge about the blockchain technology to hundreds of thousands of viewers all over the world. Ivan makes the complex simple by delivering entertaining and exciting talks.